You can delete passwords using the Password Manager. You cannot remove a password that is currently used by any job on the backup server. To remove such password, you first need to delete a reference to this password in the job settings. 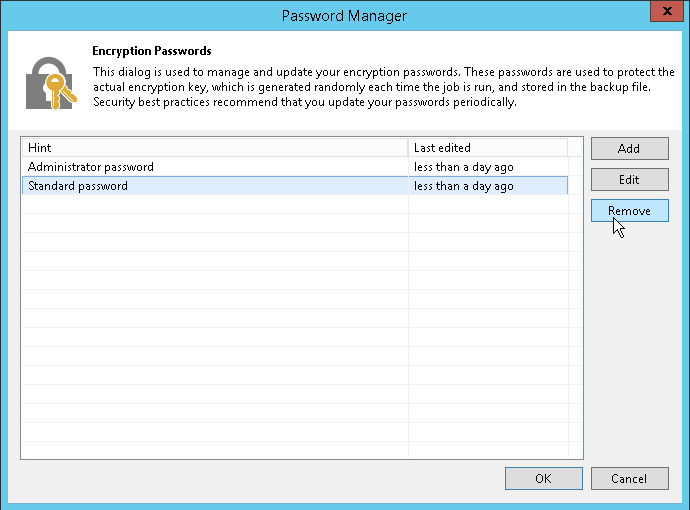 In the Password Manager, select the password and click Remove.